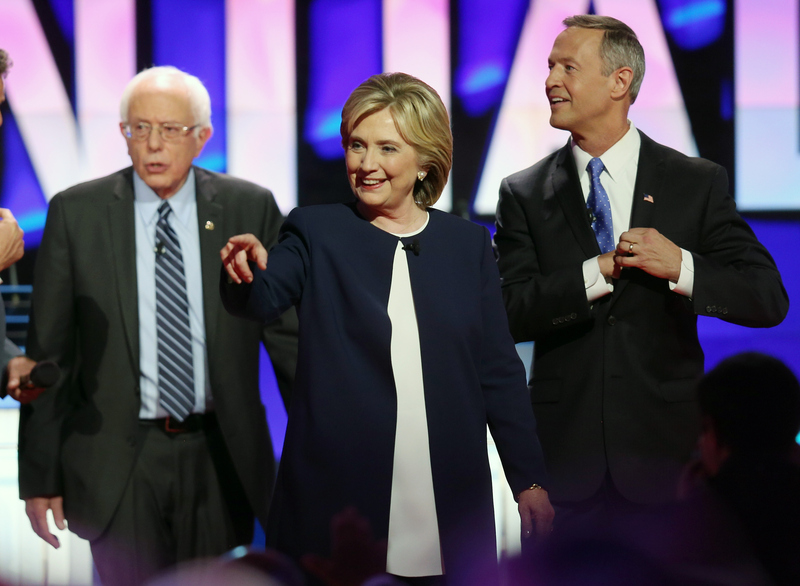 Democrats are once again getting a chance to make their case as viable presidential candidates on the national stage. The second Democratic primary debate is set for Saturday night, and will be held at Drake University in Des Moines, Iowa. This go-round, however, will see far fewer candidates take the stage. Who isn't in the second debate? Two candidates have already dropped out since the first event, and another was not invited to either one. That latter candidate, Lawrence Lessig, was known to few, but had grand dreams of systemic political change — to put less focus on fundraising and hopefully bring about a deeper conversation on issues affecting the nation. Had Lessig somehow won the Democratic nomination and ascended to the presidency, he would've initiated reforms meant to help reach more voters, as well as curb campaign spending. He would then resign once his requests were met, presumably going to back to his position teaching law at Harvard and handing the fate of the country over to his vice president. Lessig resigned weeks after the first Democratic debate, and has accused the DNC of using opaque criteria to prevent him from being eligible for the event. I fully accept that my views on many issues are not compatible with the power structure and base of the Democratic Party. For this reason I am withdrawing from any consideration of being the Democratic Party's nominee for the presidency ... Poll after poll shows that a strong plurality of Americans is neither Republican nor Democrat. Overwhelmingly they're independents. Mere days later, fellow candidate Lincoln Chafee released a memo effectively ending his campaign. He then formally announced his intention to drop out of the race at a press conference in Washington, D.C. Chafee appears to be uninterested in switching affiliations, though he is known for starting his political career as a Republican, only to later become a Democrat. Who does this leave left for the second Democratic debate? Former Secretary of State Hillary Clinton, Vermont Sen. Bernie Sanders, and former Maryland Gov. Martin O'Malley will face off in Des Moines.